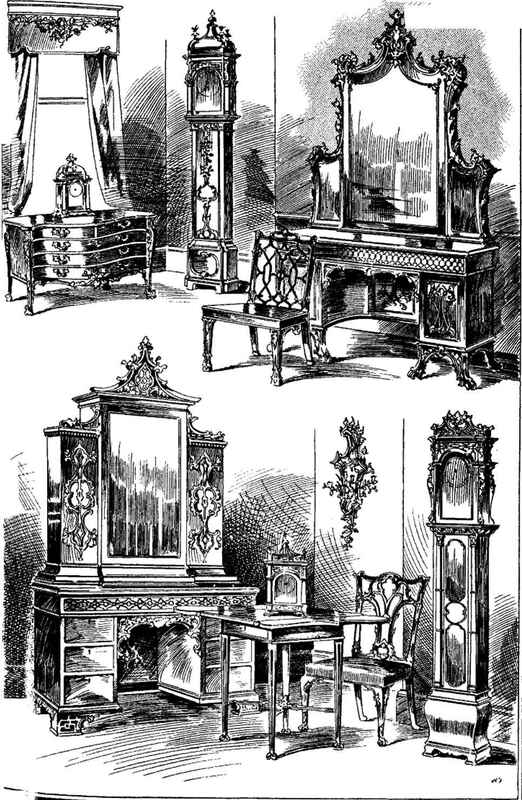 contented himself by building-up a solidly-made, and, usually, unpretentious, " carcase " of sensible proportions ; when that was accomplished, he set about planning his scheme for the embellishment of the surfaces of the doors, drawer-fronts, and other available spaces, imparting a definite character to the simple foundation or basis by drawing upon his stock-in-trade of rococo detail ; and no one can deny that he made pretty free use of it. This detail, it must be understood, was not always carved into the solid wood of the drawer - fronts, doors, or other places for which it was destined, as, in the opinion of many critics, it should have been. It was in most instances cut out and carved separately, and then "pinned" and glued on, and was, therefore, simple to conceive and carry out, involving, at the same time, a very insignificant outlay. By the means described, the most intricate and elaborate schemes, whose execution in solid carving would have been terribly costly, could be turned out to the heart's content of the maker. Some exception may be taken to the instability of this class of enrichment. " 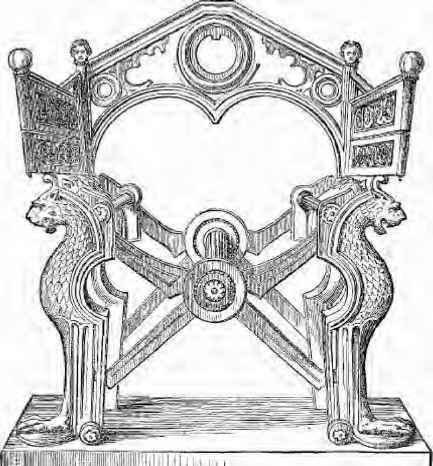 Pins 99 are liable to rust, snap, and work loose ; the best of glue will perish in time ; and when any of those eventualities come about the security of this applied carving has vanished. It can be " stuck on " again, of course, but the performance of such repairing, in nine cases out of ten, has been deferred until the recalcitrant pieces have disappeared never to return.